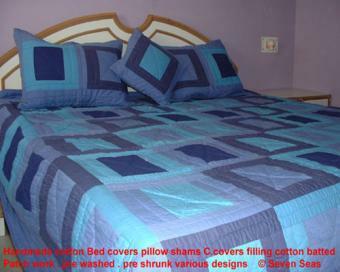 A classy ambit of cotton Bed Covers is brought to you by Seven Seas Exporters, the branded company engrossed in catering unique and valuable products. We have an array of designer bed covers, cotton bed covers etc., and that provides an attractive look to your bedroom or desirable place. 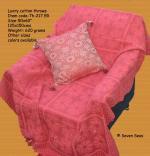 Rich and vibrant colors and modern designs give luring look to your bed and room. In addition, we are the modern bed covers manufacturers, suppliers located in India.